Obviously, in fairness to all parties, the best practice with respect to evidence in a case is to preserve all potential evidence until all legal proceeds have begun and concluded. But the real world often takes us down another path. Spoliation of evidence is ultimately an evidentiary issue under Maryland law. 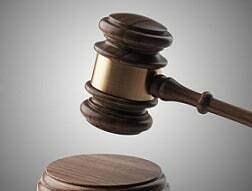 Maryland courts make clear that, when warranted, the appropriate remedy is an adverse jury instruction or presumption to the jury to infer that the evidence concealed was unfavorable to the party that destroyed the relevant evidence. The destruction of or the failure to preserve evidence by a party may give rise to an inference unfavorable to that party. If you find that the intent was to conceal the evidence, the destruction or failure to preserve must be inferred to indicate that the party believes that his or her case is weak and that he or she would not prevail if the evidence was preserved. If you find that the destruction or failure to preserve the evidence was negligent, you may, but are not required to, infer that the evidence, if preserved, would have been unfavorable to that party. This instruction is critical because the intentional or negligent destruction or spoliation of evidence threatens the integrity of our judicial system. Naturally, as lawyers, you can assume we will come up with a Latin expression to address this problem: omnia praesumuntur contra spoliatem, which means "all things are presumed against the spoliator." Maryland has adopted this maxim because of the logical presumption that one would not ordinarily destroy evidence favorable to himself. The evidence that was destroyed or altered was “relevant” to the claims or defenses of the party that sought the discovery of the spoliated evidence, to the extent that a reasonable factfinder could conclude that the lost evidence would have supported the claims or defenses of the party that sought it. Accordingly, under Maryland law, the destruction or alteration of evidence by a party gives rise to inferences or presumptions unfavorable to the spoliator. Unexplained and intentional destruction of evidence by a litigant gives rise to an inference that the evidence would have been unfavorable to his cause. Maryland law does not require a showing of bad faith to support this inference. Anderson v. Litzenberg, 115 Md. App. 549, 561-562 (1997) (case involving accident caused by a dump truck tarp coming loose and causing an accident; presumption that from the destruction of the tarp, there was a rebuttable presumption that the destruction of the tarp should be lead to an inference that it the tarp would show evidence unfavorable to the defendant). See also Larsen v. Romeo, 254 Md. 220, 255 (1969). Accordingly, in motor vehicle collision cases, it is important for accident attorneys to pin down early in an investigation what evidence might be available that could be intentionally on inadvertently destroyed.